Why would people hold hard currency when they can get interest on it or melt it down? Why would governments continue to issue coins with metal content values higher than the denomination values? What is the theoretical probability of that? Yet it occurs in the real world where a penny has twice it value in copper and recent dimes are worth slightly more than their denomination. The other interesting aspect of this is when numismatic value is increased by melt down events. 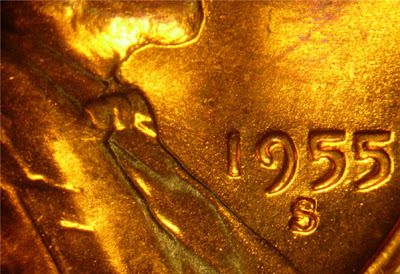 An increase in scarcity of certain lower mintage dates that would be discovered only as collectors figure out that not so many coins from a certain date still exist. All physical monies with face values contain embedded options. By being aware of these options, more precise valuations of coins and paper money can be made. Some of the most commonly circulating coins in the USA (and also in the UK) have gone from having their embedded option deep-in-the-money to at-the-money, then to deep-out-of-the-money, and then returning to deep-in- the-money. The value of the optionality has been high. Because the central banks and commercial banks are selling such coins at a xed price, equal to the face value, the price and face value of such coins will only be the same when the option element is deep-in-the-money. When the option element moves towards at-the-money or out-of-the-money, arbitrage opportunities arise. Since governments are not adjusting the face values, they have to reduce the value of the coin for example, by stopping the circulation of such coins by other means or by taking legal action against the exporting and melting of coins. Of course, the theoretical floor to a coin's value is max (face, metal value). In great inflationary times, the metal value will greatly exceed the face value of the coin. But here's the interesting part– if holding the coin in deflationary times, the face value increases, its purchasing power even as the metal value plummets in nominal terms. Two implications– first, even though you don't get interest payments on your money, if you bought with the metal value "at the money" you are some earning real return in all cases unless the purchasing power of the dollar remains absolutely stagnant. Second, because of the previous point, you're not just getting a free call option on the metal value, you're really getting a free straddle– or in other words, a free "inflation vol call option." The worse inflation or deflation gets, the better off you are. And it's the same investment– no adjustment is required for inflation or deflation. Look back at what happened to TIPS breakevens toward the end of '08 beginning of '09 when the deflation bulls were winning! Nickels are better than pennies from a storability perspective — nickels are 1 cent/gram and pennies are .4 cents per gram, though pennies are much more in the money right now according to coinflation.com. I haven't decided if I'm buying a truckload of pennies or nickels at this point.